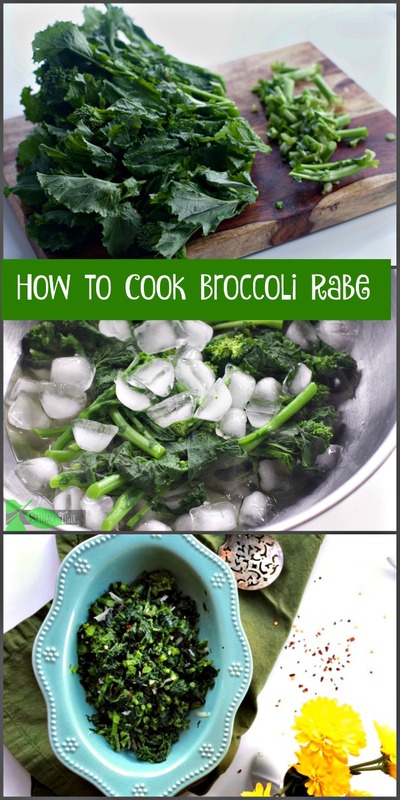 Let me tell you how to cook the best broccoli rabe. It’s an Italian favorite and one I did not grow up on. It came as a surprise to me that I would embrace broccoli rabe, as it is not broccoli, does not taste like broccoli, and takes a paradigm tasting shift to appreciate it. It’s in the mustard green family and has that bitter (but not unpleasant) taste that marries perfectly with garlic, olive oil and a bit of salt and crushed red pepper. 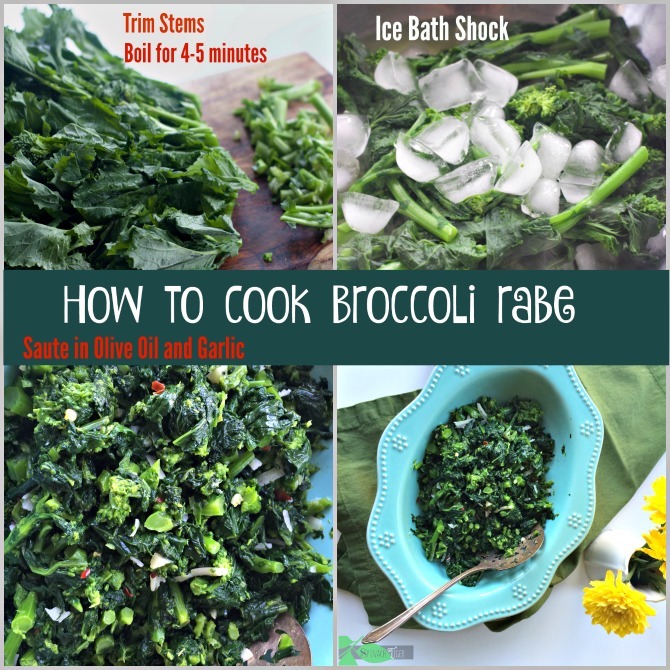 Once you understand that broccoli rabe is supposed to bitter and needs certain ingredients to make it shine, you will love it. We love it on pizza. 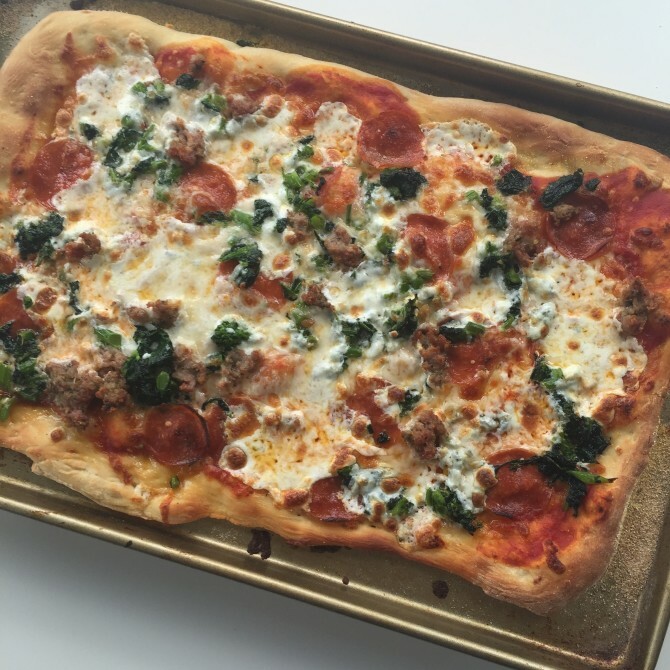 I made this sheet pan pizza. We love it on this pasta dish. 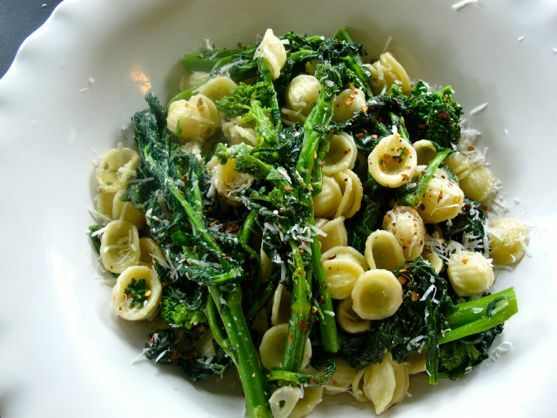 Broccoli rabe is most often eaten with orecchieti and a good serving of pecorino romano. Love it in a sandwich. 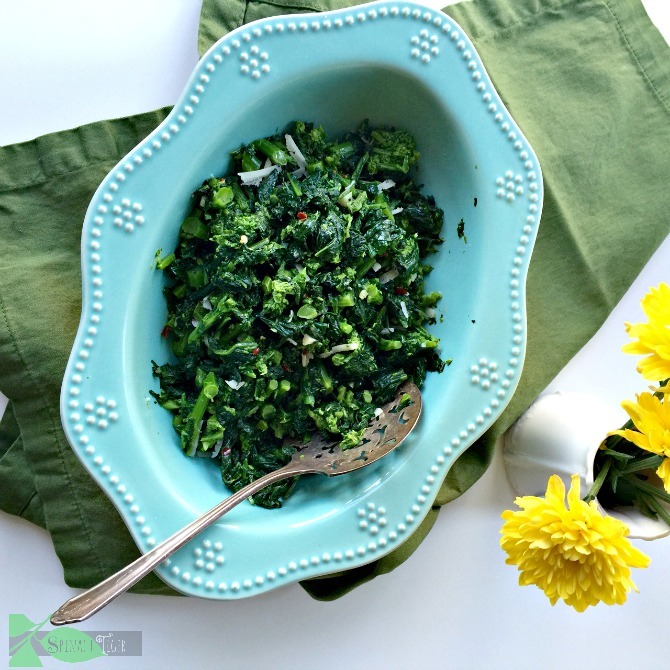 Love this broccoli rabe recipe all by itself. This broccoli rabe recipe is perfectly balanced and has that umami component that makes you want more. Just for fun, I once paired broccoli rabe with homemade chocolate pasta because I wanted to try something unique. Buy broccoli rabe fresh. There should be no yellowing flowers. Trim stems, submerge in boiling water for a few minutes, and then shock in ice bath to maintain that beautiful green color. At this point, you can refrigerate until you’re ready to sauté for later, or drain well and sauté in garlic and olive oil. 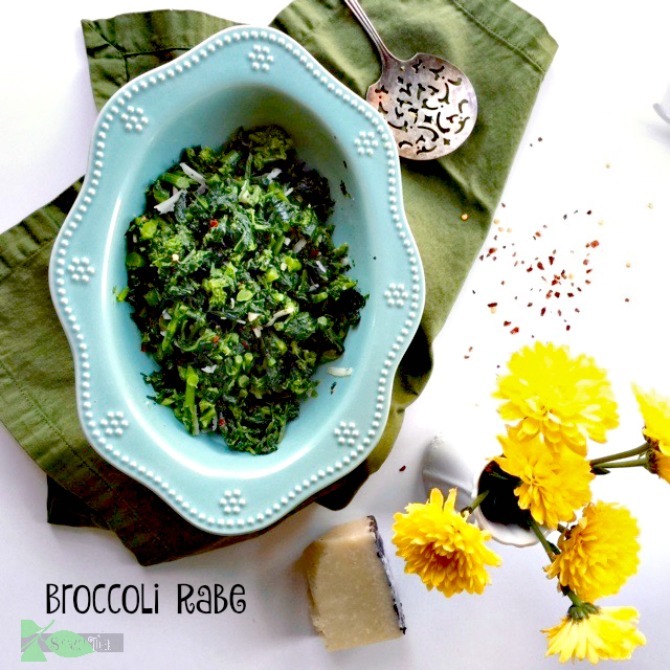 If you make this broccoli rabe recipe, please hashtag #spinachtiger. I would love to see what you do on Instagram. And, please let me know how you make it. All my favorite things I actually own and use are at my Amazon Shop (Affilate) where I earn a small commission, and are divided by categories. Broccoli Rabe, an Italian Green Vegetable with olive oil, garlic, red pepper flakes, great on pasta, pizza in sandwiches or a great side dish. Wash, rinse, trim about 2 inches of stems. Submerge in boiling water for 4-5 minutes until soft. Drain, put in ice bath to maintain bright green color. Cool, drain, pat dry with paper towels. Chop into one inch or less pieces. Saute garlic just until softened. This site contains affiliate links which earn a small commission. Read more on this disclosure. Trying the broccoli rabe recipe tonight. Thank you very much! The recipe comes with 12 embedded advertisements! Good grief! It chopped the recipe like it was in a blender. I persevered but I think a lot of cooks would just blow off the recipe and move on to some other source. Hi there! I just wanted to share that I made this for dinner but added shiitake mushrooms. This was a real hit and my husband couldn’t get enough of it. I’ll be making it again very soon, thank you for sharing. 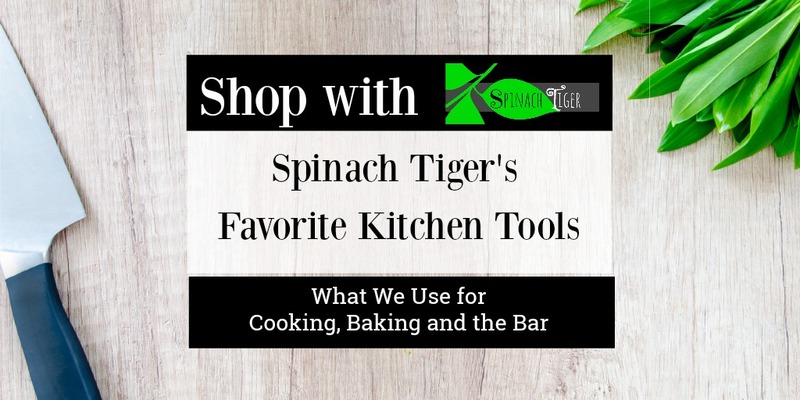 My parents loved anything that was bitter — I love broccoli raab and I cook spinach and kale with the garlic and hot pepper flakes. But doggone I haven’t used it for pizza! Thank you for the inspiration and I haven’t used it in pasta either. I’ve got to get cooking! Have a great week! I didn’t grow up with it either. Learned about it through a segment on Regis & Kathie Lee that was featuring Rao’s Italian Restaurant in NYC. It’s delicious, and bitter, and I cooked it just as you described it. That ice bath preserves the color. I;ve had it on pizza before and loved it, but I’ve never tried cooking it myself. I’ll definitely be on the lookout whenever I’m in the produce section, though!